Having lived in Te Kauwhata all his life, Bruce is no stranger to the changing dynamic of the North Waikato village. Growing up and attending the local school at Rangiriri, he developed strong ties and a desire to be involved in the local community. He and his wife, Valerie, owned and operated a successful orchard and retail shop for twenty-five years while raising their three children. They sold a variety of fruit directly to the public and became increasingly well-known throughout the community. Upon selling the orchard, they purchased a kiwifruit farm and Bruce took on the new challenge of real estate in 1997. Twenty years later, he is known as one of the go-to people if you want your property sold in Te Kauwhata. Widely known throughout the town, thanks to being involved in many community organisations and committees – including the Te Kauwhata Refuge Committee, Te Kauwhata St John’s Ambulance, the Presbyterian Church – Board of Management – Parish Council, and the Rangiriri Development Committee – and with a large database of contacts, Bruce’s priorities have remained steadfastly with his clients’ needs. His sense of humour, honesty and personable manner help smooth the way as he works with people to achieve the best possible result for them. Colin began his successful real estate career with Riverlands in September 2004 with the majority of this time being based in Te Kauwhata. He is local having grown up and farmed at the southern end of Lake Waikare and then living west of Rangiriri since 2001. Having made a successful transition from farming to other investments and income streams, Colin has successfully established himself in residential and lifestyle sales in and around Te Kauwhata. Colin has been a partner in a successful residential development in Te Kawhata located in Merlot Place and has a sound understanding of development processes. Colins ability to listen and identify peoples needs, his sound and expansive local knowledge combined with a positive attitude towards the progress of Te Kauwhata makes him a valued member of our Te Kauwhata team. Michaela is an up and coming real estate sales consultant keen to start her real estate career. A local girl, she’s grown up in Huntly and attended the University of Waikato where she studied law and English, graduating with a Bachelor of Arts majoring in English. 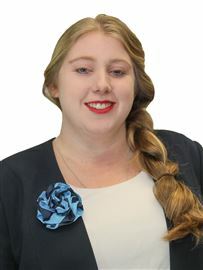 She has been working in an administrative role for Harcourts Riverlands Real Estate Ltd in Te Kauwhata for the last year but has grown up in the Riverlands business owned by John and Dallas Hodge. Over the years she’s done a number of jobs within the company and has gathered experience in almost every faction of the business. She has just recently completed her sales licence and joins the Te Kauwhata team as a sales consultant. She grew up in a household that was always full of animals from dogs and cats to the odd duck and hedgehog and now lives on a lifestyle block with several alpacas, miniature horses, goats and any number of other animals but the one that’s always by her side is Murphy – a scruffy little dog that’s always after a treat. She follows technology updates regularly and embraces the tools at hand to most effectively market properties. Focusing on residential sales, she will take you through all the options for your property and market it to your best advantage. Michaela is hardworking and eager to help people realise their real estate dreams – no matter how long it takes! She’s ready to leap into her real estate career and will be with you all the way. Denise joined the property management team in April 2009. She has previously been a successful salesperson, enjoys people contact and prides herself on providing great customer service. She has been successful in the Central Region Awards for Harcourts over the past four years picking up 1st, 2nd and 3rd places for property management. Her latest achievement is becoming the Riverlands New Business Manager for Property Management.